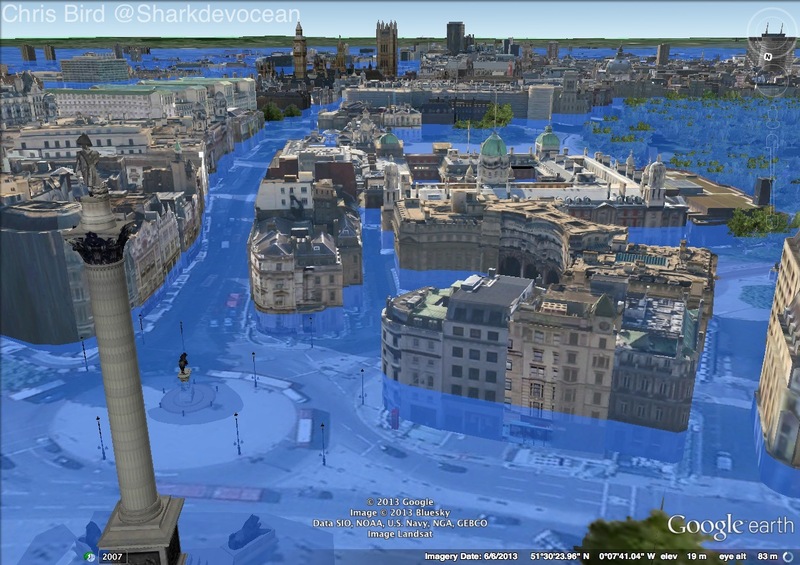 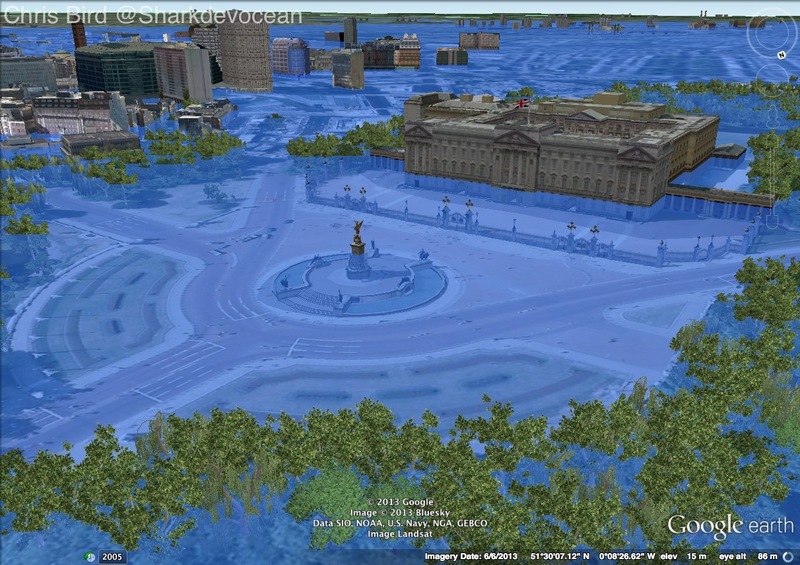 In light of the recent (and currently ongoing) extreme tidal surges, strong winds and extensive flooding that the UK has experienced, I have decided to simulate the flooding of our beloved capital city, London. 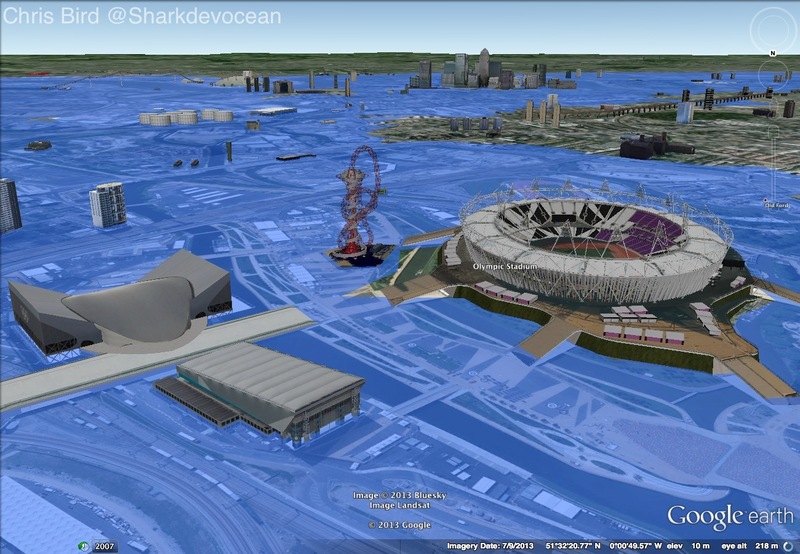 As massive storms and high rainfall encompassed Britain, the Thames Barrier in London was closed to protect the city from flooding. 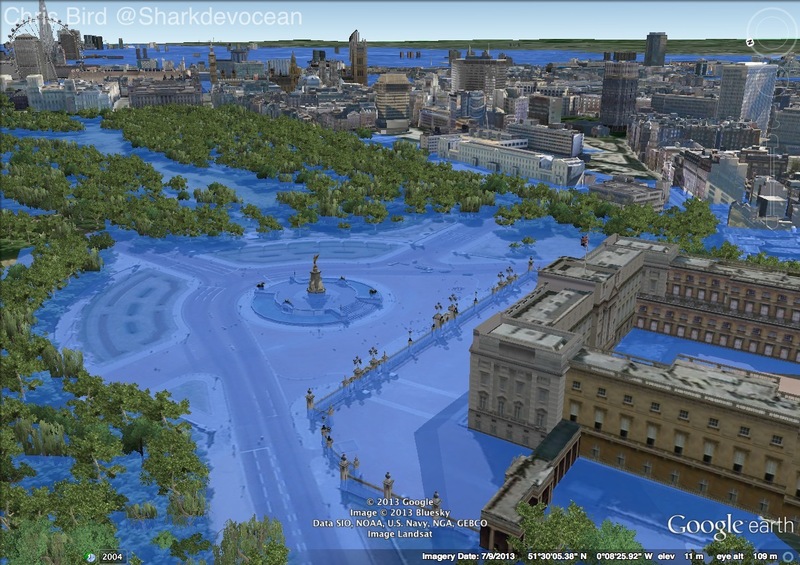 I’ve heard many weather experts predicting that these aggressive storms will become more frequent under current climate change. 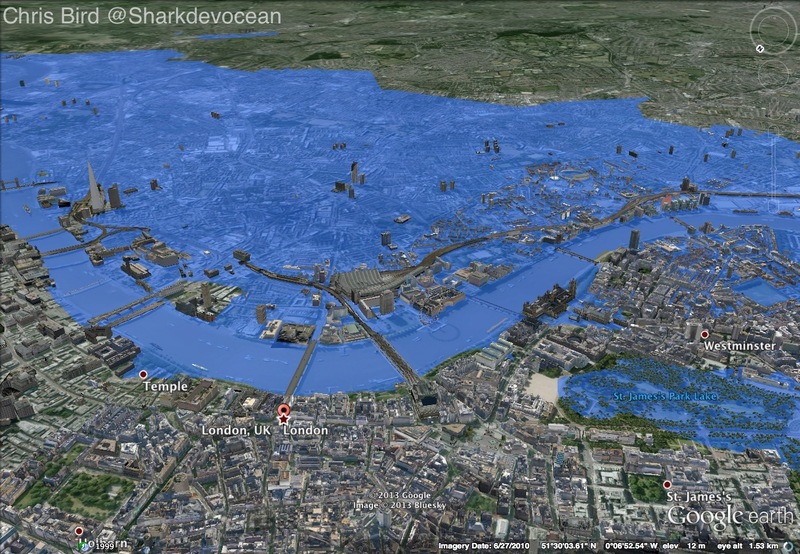 Below are some images that simulate what London may look like if future storms overwhelm the Thames barrier and invade the city. 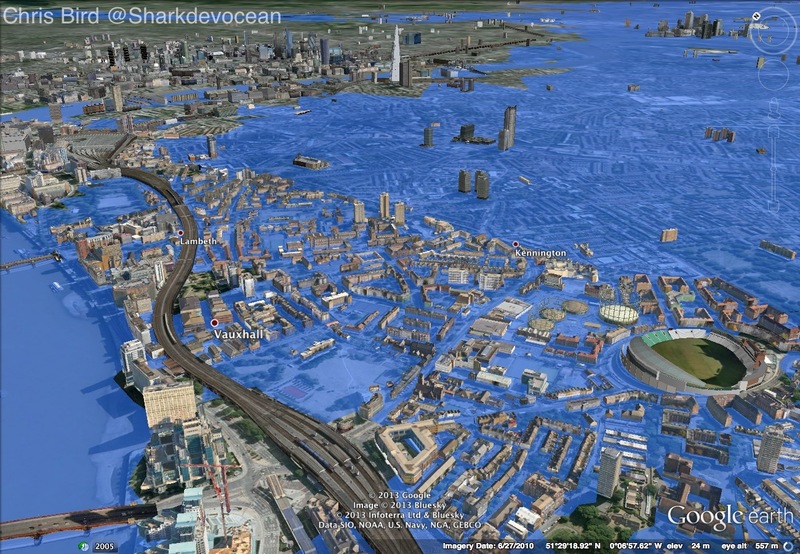 Its safe to say the presence of the Thames throughout the city would have devastating consequences for the city. 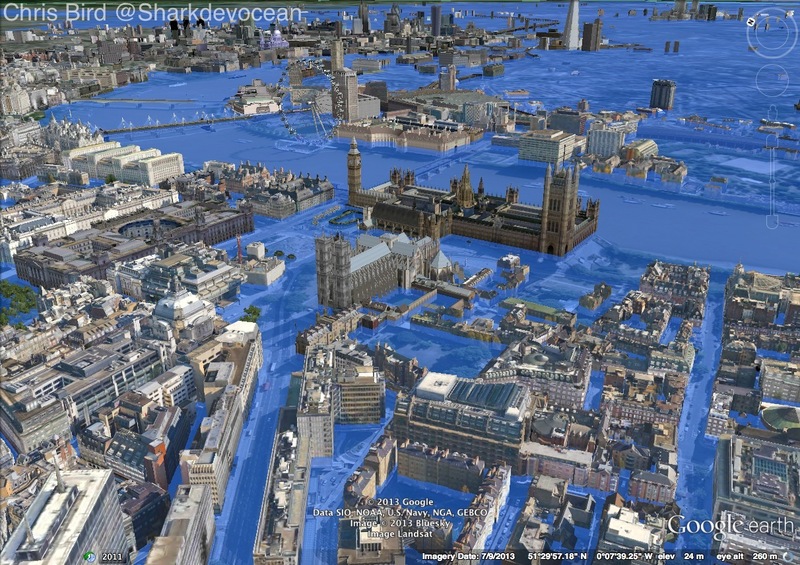 Scuba gear would be needed to use the tube, the Queen and her Corgi dogs would have to wear life jackets, and most businesses would be pretty soggy! 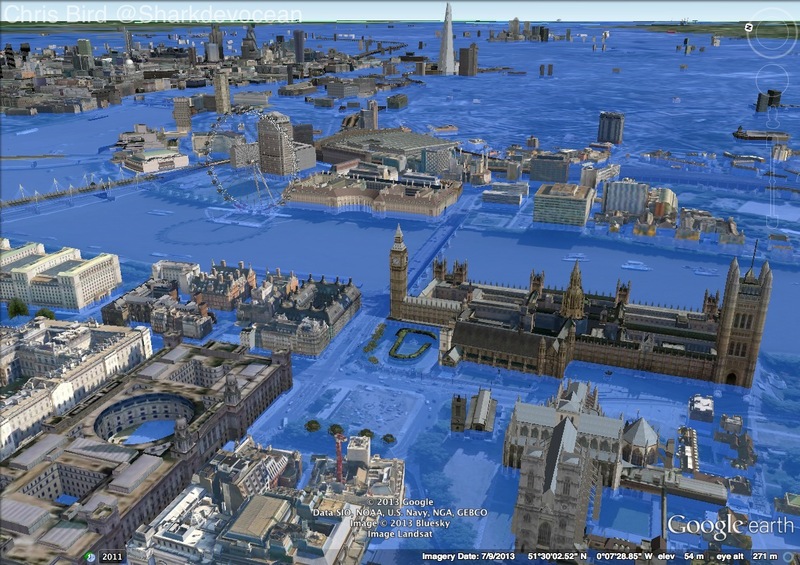 The only people safe would be Nelson, high and dry on his column, and those aboard HMS Belfast. 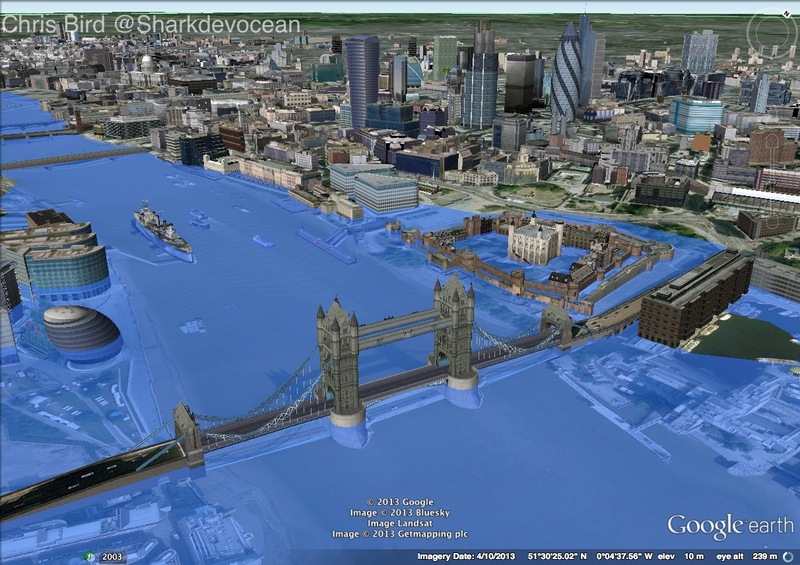 Put down your oyster cards London, a rowing boat may be more beneficial in these floods.